Last Tuesday was an excellent training day at Bocketts Farm, near Leatherhead. Kathleen Grehan, Director of Dot Sign Language, taught two sessions to the staff. They realise the importance of being able to communicate with Deaf visitors, and explained that they have lots of Deaf children visiting with their families and also school groups. Kathleen encouraged to think about what it means to be Deaf and how the team could improve communication. She then taught BSL phrases to welcome visitors, ask children if they were lost, as well as lots and lots of animals signs. 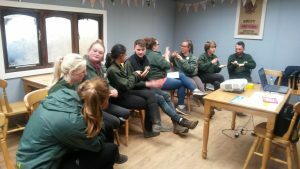 We were so impressed with how keen the staff all were, how quickly they learnt the signs, and their commitment to making the farm more accessible for Deaf guests. 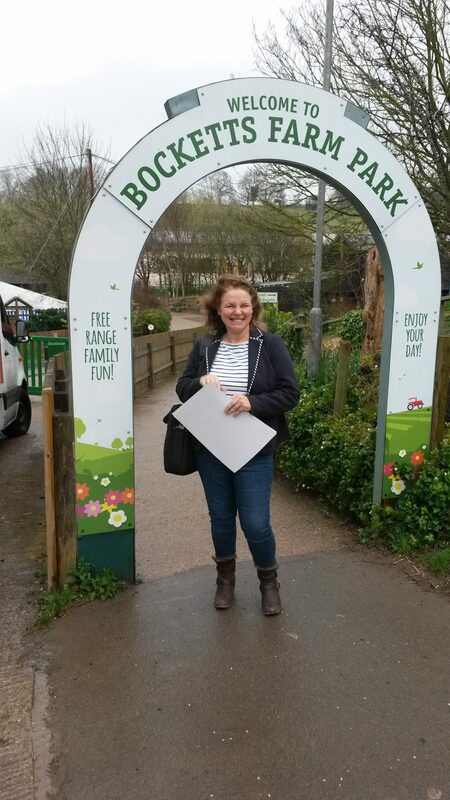 Very excitingly, alongside a new part of the farm opening and re-branding, Bocketts will be permanently displaying the BSL animal signs next to the appropriate animals. We are extremely grateful to Cath Smith for providing the images, and we look forward to seeing pictures of the signs in place very soon. Please contact us if you would like Deaf Awareness training for your business.